Any vinyl owner needs this. Works as stated. 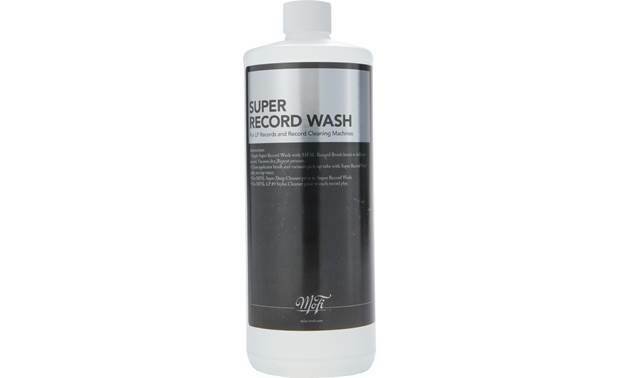 Super Record Wash: Mobile Fidelity Sound Lab Super Record Wash delivers powerful cleaning and remains perfectly safe for all record surfaces. It is a one-step record cleaning fluid for use with any record cleaning machine or any manual hand-cleaning system. The alcohol-free fluid incorporates non-toxic, natural degreasers and dirt solvents in combination with quadruple-distilled, hyper-pure water base. Mobile Fidelity Sound Lab Super Record Wash will keep your records sounding quiet and looking great. Searches related to the Mobile Fidelity Super Record Wash Record-cleaning fluid.